For the most part of growing up, I was certain of one thing: "the more audible you are, the faster your prayers are answered". Even though I attended an Anglican Church which would ordinarily mean conservatism, we adopted everything charismatic. Our prayer sessions consisted of high pitched wails, feet stamping and possibly sweaty bodies rolling on the floor. You'd be damned to choose the path of "sluggish prayer" when you run the risk of them falling to deaf ears. Melodrama and audibility were directly proportional to the size of your blessings and even the intensity of the consuming fire that burned your enemies alive. Over time, this narrative spilled into many of my ideologies about God as he felt more like a distant deity with hearing problems than a friend who sticks closer than a brother. Prayer became a competition and I made sure I was well prepared. Taking my time to list all my prayer points laced with selfish desires, packs of tom-tom in my pocket ready to combat every form of inaudibility in my voice and of course I avoided wearing heels on prayer days so I get the chance to jump as high as my feet could take me. This became a chore not a fellowship. It wasn't until I began a personal relationship with God that the Holy Spirit revealed the truth of an effective prayer life to me. I saw that prayer is not a form of coercion strategy to put the odds in my favor. I saw that prayer isn't always limited to a place, time or season. I saw that prayer is a continuous communication with the father from the dawn of a new day to the dusk of it. I saw that prayer is fellowship, a link between the seen and unseen. I saw that answered prayer does not equal my ability to raise my voice but my ability to succumb to the HolySpirit's direction and plead for his advocacy. 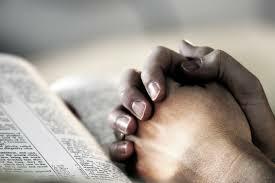 I saw that the condition of my heart is the most important stature in prayer and my body language or the lack of it does nothing to impede/expedite my prayer. I saw that effective prayer and time in the word both go hand in hand. How Do We Know What to Pray for? "The reason the abiding of Christ’s words in us results in answered prayer is that it changes us into the kind of people who love what he loves, so that we ask for things according to his will. This is not absolute. It is progressive. The more we know the living Christ by communion with him in his Word, the more our desires become spiritual like his desires,instead of just worldly. This is what David meant when he said in Psalm 37:4, “Delight yourself in the LORD, and he will give you the desires of your heart.” The desires of the heart cease to be merely natural desires when the heart delights above all else in the Lord. " At the heart of fervent prayer is a strong desire to see the will of God prevail. The danger of the absence of this important piece is the misconception of seeing God as a means to our long list of wants. Simply put, God becomes an ATM machine to us. These misconceptions and ideologies make frustrated Christians rather than humble servants of Christ. Does this mean we shouldn't ask God for things essential to our livelihood? Not exactly. What I am saying is our heart's posture in all of these things take precedence. Do we come to the father with humble hearts ready to succumb to the direction his will takes us or do we come as authoritarians demanding to choose that direction. God has given us the gift of prayer for many reasons, all of which rest on the foundation of the creation knowing the creator and the creation being concurrently transformed into the image of the creator. In other words, the more time we spend with God both in prayer and in his word, the more we are able to discern His will for our sanctification. After the death of Jesus on the cross, the veil in the temple was torn into two and this carries tremendous significance to us as modern day Christians. Christ has afforded us the opportunity to communicate with the Father at any time or place . This open invitation helps us to cut through barriers of eloquence, fear, seeking an intermediary to advocate on our behalf and what have you. The significance of this event was reiterated in many different ways through out the New Testament, especially in Romans 8:38 and Hebrews 4:16. This freedom bought in all of our names is what drives us to seek the Lord in prayer.